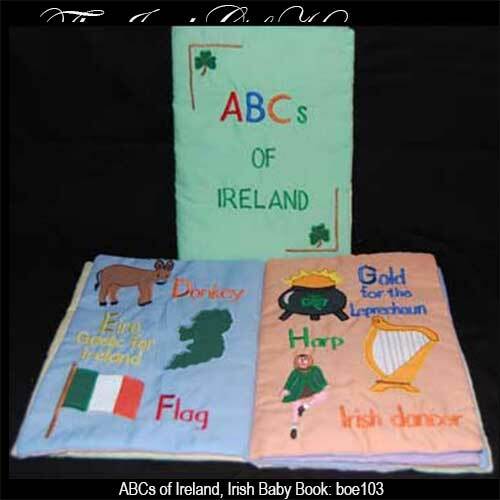 This cloth Irish baby book is titled ABCs of Ireland. Baby and toddler will enjoy learning the ABCs of Ireland with this cloth book that features Irish symbols that include leprechauns and shamrocks along with St. Patrick himself. The Irish baby book measures 6" x 7" and is received with a shamrock history card that is complements of The Irish Gift House.